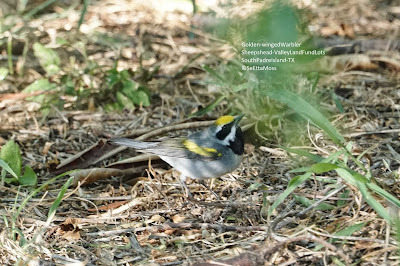 This Golden-winged Warbler has been seen at Sheepshead--the Valley Land Fund Lots since yesterday. I have only seen a few of these very eastern warblers though my first one was a rare vagrant in far southeastern Colorado (Two Buttes black hole migrant trap). 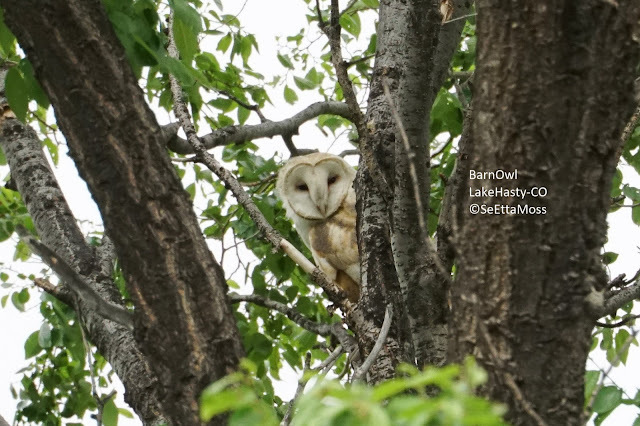 Today I birded Lake Hasty, a birding hotspot in far southeastern Colorado and was delighted to spot this Barn Owl. 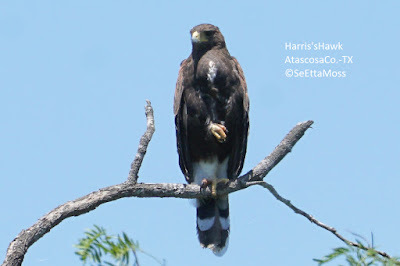 The pic below is the same pic as the one above which I cropped severely to enlarge the owl. (for more perspective I took the photo with my 300mm lens which is like 6X enlargement, on my Sony 6300 mirrorless camera.) Click on each pic to enlarge more for closer viewing. 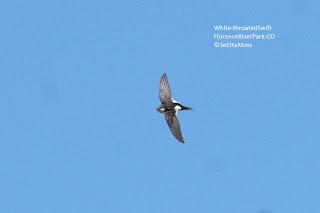 I enjoyed watching a migrating flock of about 50 White-throated Swifts engaged in frenzied breeding along the Arkansas River near the Florence River Park. 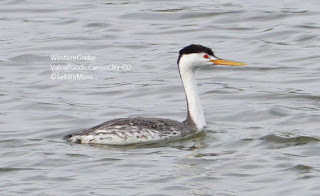 I have observed similar feeding flocks at this location in previous years as they make their way to locations further west with cliffs. Fyi-these pics are good enough quality to be enlarged for better viewing, just click on each pic. 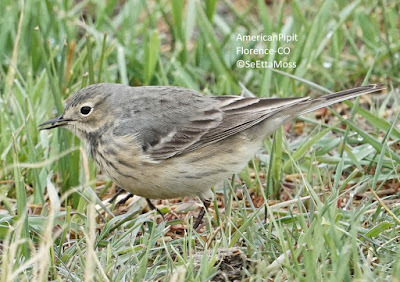 I had been looking for American Pipits all week as is around the time they have stopped over on their migration to feed and rest--and yesterday I found about a dozen of them foraging in an agricultural field in Florence. While most of the pipits had streaked chests, some were the 'light' adults as shown in the bottom two pics.